French Revolutionary, the son of the maître d'hôtel of the Marquis de Bercy, and was born in Paris. The marquis, perceiving the boy's ability, had him well educated, and got him a place as a lawyer's clerk. Being much excited by the first events of the Revolution, he gave up his desk to enter a printer's office, and by 1791 he was overseer of the printing department of the Moniteur. While thus employed he conceived the idea of the journal-affiche, and after the arrest of the king at Varennes in June 1791 he placarded a large printed sheet on all the walls of Paris twice a week, under the title of the Ami des Citoyens, journal fraternel. This enterprise, of which the expenses were defrayed by the Jacobin Club, made him well known to the revolutionary leaders; and he made himself still more conspicuous in organizing the great "Fête de la Liberté" on the 15th of April 1792, in honor of the released soldiers of Château-Vieux, with Collot d'Herbois. 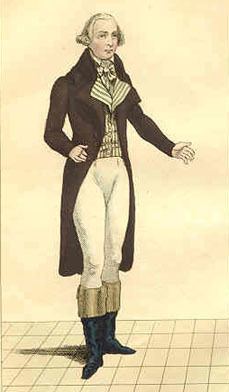 On the 8th of July 1792, he was the spokesman of a deputation of the section of the Place Royale which demanded from the legislative assembly the reinstatement of the mayor, Jérome Pétion, and the procureur, P. L. Manuel, and he was one of the most active popular leaders in the attack upon the Tuileries on the 10th of August, on which day he was appointed secretary or clerk to the revolutionary commune of Paris. In this capacity he exhibited an almost feverish activity; he perpetually appeared at the bar of the assembly on behalf of the commune; he announced the massacres of September in the prisons in terms of apology and praise; and he sent off the famous circular of the 3rd of September to the provinces, recommending them to do likewise. He had several persons imprisoned in order to save them from the fury of the mob, and protected several suspects himself. At the close of the month he resigned his post on being elected, in spite of his youth, a deputy to the Convention by the department of Seine-et-Oise, and he began his legislative career by defending the conduct of the Commune during the massacres. He took his seat upon the Mountain, and showed himself one of the most vigorous Jacobins, particularly in his defense of Jean-Paul Marat, on the 26th of February 1793; he voted for the execution of the king, and was elected a member of the Committee of General Security on the 21st of January 1793. After a short mission in the western provinces he returned to Paris, and took an active part in the coups d'état of the 31st of May and the 2nd of June, which resulted in the overthrow of the Girondists. For the next few months he remained comparatively quiet, but on the 23rd of September 1793, he was sent with Claude Alexandre Ysabeau (1754-1831) on his mission to Bordeaux. This was the month in which the Terror was organized under the superintendence of the Committees of Public Safety and General Security. Tallien showed himself one of the most vigorous of the proconsuls sent over France to establish the Terror in the provinces; though with but few adherents, he soon awed the great city into quiet. It was at this moment that the romance of Tallien's life commenced. Among his prisoners was Therèse, the divorced wife of the comte de Fontenay, and daughter of the Spanish banker, François Cabarrus, one of the most fascinating women of her time, and Tallien not only spared her life but fell in love with her. Suspected of "Moderatism" on account of this incident, especially when he was recalled to Paris, Tallien increased, in appearance, his revolutionary zeal, but Therèse abated his revolutionary ardor, and from the lives she saved by her entreaties she received the name of "Our Lady of Thermidor", after the 9th of Thermidor. Tallien was even elected president of the Convention on the 24th of March 1794. But the Terror could not be maintained at the same pitch: Robespierre began to see that he must strike at many of his own colleagues in the committees if he was to carry out his theories, and Tallien was one of the men condemned with them. They determined to strike first, and on the great day of Thermidor it was Tallien who, urged on by the danger in which his beloved lay, opened the attack upon Robespierre. The movement was successful; Robespierre and his friends were guillotined; and Tallien, as the leading Thermidorian, was elected to the Committee of Public Safety. He showed himself a vigorous Thermidorian; he was instrumental in suppressing the Revolutionary Tribunal and the Jacobin Club; he attacked J. B. Carrier and Joseph Lebon, the représentants en mission of Nantes and Arras; and he fought bravely against the insurgents of Prairial. In all these months he was supported by Therèse, whom he married on the 26th of December 1794, and who became the leader of the social life of Paris. His last political achievement was in July 1795, when he was present with Lazare Hoche at the destruction of the army of the émigrés at Quiberon, and ordered the executions which followed. After the close of the Convention Tallien's political importance came to an end, for, though he sat in the Council of Five Hundred, the moderates attacked him as terrorist, and the extreme party as a renegade. Madame Tallien also tired of him, and became the mistress of the rich banker Ouvrard. Napoleon Bonaparte, however, who is said to have been introduced by him to Barras, took him to Egypt in his great expedition of June 1798, and after the capture of Cairo he edited the official journal there, the Décade Egyptienne. But General J. F. Menou sent him away from Egypt, and on his passage he was captured by an English cruiser and taken to London, where he had a good reception among the Whigs and was well received by Fox. On returning to France in 1802 he obtained a divorce from his wife (who in 1805 married the comte de Caraman, later prince de Chimay), and was left for some time without employment. At last, through Fouché and Talleyrand, he got the appointment of consul at Alicante, and remained there until he lost the sight of one eye from yellow fever. On returning to Paris he lived on his half-pay until 1815, when he received the favor of not being exiled like the other regicides. His latter days were spent in poverty; he had to sell his books to purchase bread. He died in Paris on the 16th of November 1820. Tallien left an interesting Discours sur les causes qui ont produit la Révolution française (Paris, 1791, in 8vo) and a Mémoire sur l'administration de l'Égypte à l'arrivée des François.